In tech, it's amazing how often good products and services are blighted by bad names. 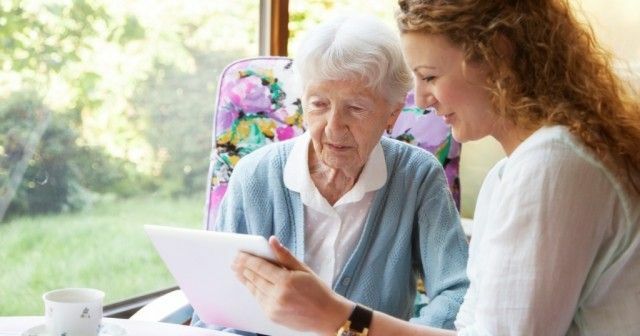 Here's an example of a fantastic scheme, with an atrocious name: ‘Making Technology Enabled Care Services (TECS) a Reality in Elderly Care’ scheme. Which is basically, a really bad name for a great (and long needed) concept - taking tablets into care homes to connect elderly people with a network of primary care, mental health and palliative carers, community pharmacists and geriatricians who haven't got enough resources to spend time visiting them all. Using video conferencing and apps, the elderly patients can have fast access to the relevant HCPs and receive the care they need to help them stay out of hospital. Simples (though the naming really isn't). CCGs win funding to launch innovative online services for elderly patients Health commissioners in northern Staffordshire have been awarded £272,000 to set up an innovative service linking GPs with their elderly patients and care home staff through online video technology. Stoke-on-Trent and North Staffordshire CCGs have been given £136,000 each by NHS England to buy equipment for their ‘Making Technology Enabled Care Services (TECS) a Reality in Elderly Care’ scheme.